Seven Springs Mountain Resort is a ski area located in southwest Pennsylvania that’s home to 33 trails and seven terrain parks across 285 skiable acres. The ski area is located approximately one hour’s drive southeast of the Pittsburgh International Airport. The ski area sees an average of 135 inches of snowfall per year. Seven Springs’ summit elevation of 2,994 feet and 750 feet of vertical is accessed via 10 lifts. 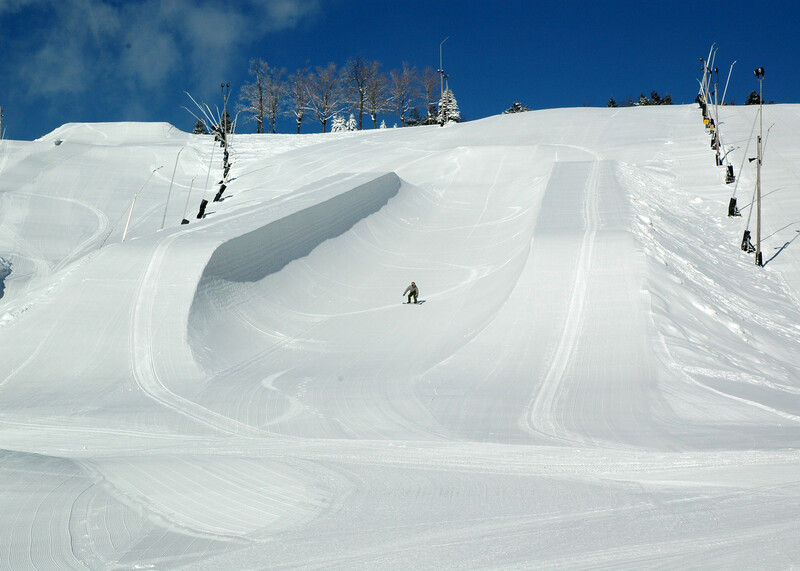 Skiers and riders will enjoy a variety of terrain ranging from beginner to expert as well as a nationally recognized park and pipe area. The mountain’s base area offers equipment rental and ski check. As a year-round mountain resort, Seven Springs provides summer activities, including canopy tours, zipline tours, sporting clays, mountain biking, fly fishing and golf. The Seven Springs Golf Course is a par-71 course with spectacular views of the Laurel Highlands. If you’re looking for a room with a view, a variety of lodging options are available at the base area, including the main Lodge Hotel, condos and townhouses. Hotel shuttle, laundromat, daycare, numerous eateries, lounges, several shops and boutiques available. Ski lessons and programs for children and adults, rental shops.